Berrinba Sanctuary will be celebrating its official opening on Saturday December 15th from 1-4pm. To mark this special occasion a community open day will be held with plenty of excitement on offer. Berrinba Sanctuary is a 90 hectare privately owned property located about 40 minutes south of the Brisbane CBD, in the suburb of Browns Plains. Ecologists can look forward to delving deeper into Logan's rich biodiversity within this pocket of native bushland, for the first time. Many significant species of native flora and fauna have well established habitats here. Koalas, sugar gliders, wallabies and bandicoots are among the mammalian species recently sighted. The bird life is even more diverse with recorded species including sacred kingfishers, scaly-breasted lorikeets, eastern whipbirds and powerful owls. 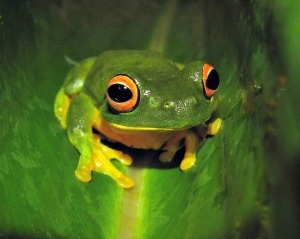 However, it is the amphibians that are generating quite a buzz as near threatened green-thighed frogs and the vulnerable wallum froglet have been recorded in the sanctuary during field surveys. 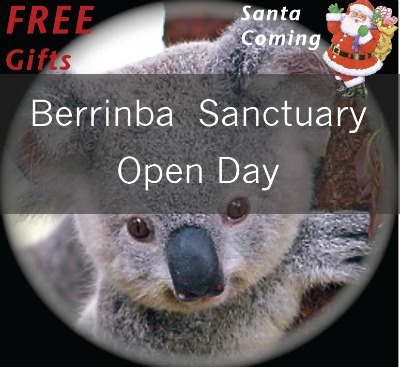 [ADVERT]The Berrinba Sanctuary open day will not only have an eco-theme, but also a festive feel. There will be a range of wildlife displays and speakers present, allowing the community to explore the natural history of the area. Logan's new wildlife ambulance will proudly be on display. There will also be family entertainment, food and drinks to purchase, and raffles - everyone who attends has the opportunity to win a Movie World family pass. Santa will be stopping by with a free gift for every child. Word has it that he is hoping to spot a koala during his time at the sanctuary. Entry and parking are free. Berrinba Sanctuary can be found adjacent to Berrinba Wetlands, at 292 Browns Plains road, Berrinba. Contact the Logan and Albert conservation association for further details.